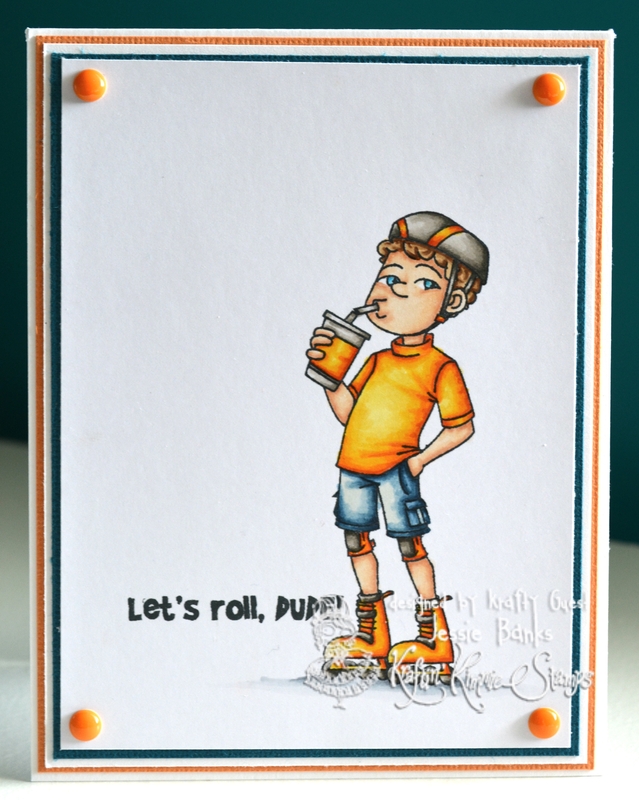 Kraftin’ Kimmie Stamps June Previews Day TWO! 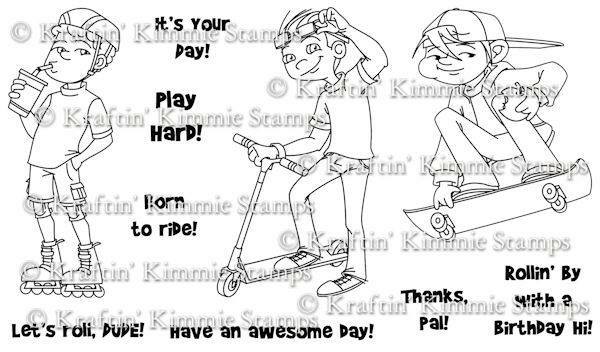 Let’s Roll, Dude! Hey everyone!! Welcome back to day TWO of our JUNE Kraftin’ Kimmie Peeks!!! Have you been enjoying the peeks so far?? All of our brand new rubber stamp sets will be released on Saturday night! One of the biggest requests I get for stamps is sets for boys/guys/men!! Well, today we are SO thrilled to share this fabulous set of stamps by artist Emilie Goulet, perfect from all the boys in your life! It is called LET’S ROLL, DUDE!! This fun set includes THREE main images plus SEVEN perfectly coordinating sentiments!! They are awesome!!! I went with a CAS card for this image, I really like the way this turned out with the cardstock layers in behind the front panel matching the Copic coloured image. I hope you can join us for all the fun and excitement and prizes SATURDAY beginning at 6pm EST!! Hope you can come hang out with the me and Krafty Girls at our LIVE ONLINE RELEASE PARTY! 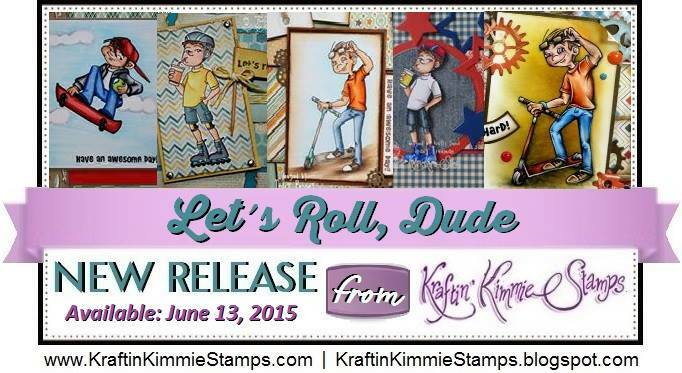 « Kraftin’ Kimmie Stamps June Previews Day ONE….Fin-tastic Friends! Great card!! Love this new stamp set!! OH BOY!!! this is a must have……already subscribed to the website and found a few things I want! This card is a keeper!!!! for me having a 7 yr old grandson that thinks he’s a teenager already is perfect!